Ahoy readers! This blog entry marks the final installment of our 3-part series outlining Equinox’ External Response to Climate Change. 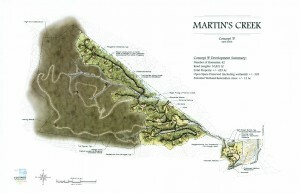 We’ve covered the Conservation Planning and Ecological Services groups, and that just leaves our talented Environmental Design group. Read on to find out how they address and respond to climate change! Equinox’ Environmental Design group has been implementing Sustainable Landscape Design strategies since 2000, helping to create landscapes that improve water quality, lower energy and resource consumption, offset carbon emissions, reduce waste, provide habitat, and produce food. Sustainable landscape design helps to mitigate against climate change, but is also pertinent in adapting to projected climate change extremes, like drought, flooding, and record temperatures. We see landscapes not solely as aesthetic components, but if planned and treated accordingly, can also function as energy reducing tools. Properly planned landscapes can shelter buildings from cold winter winds and summer sun exposure, reducing the need to run air conditioning and heating units, to create more comfortable, sustainable living environments. 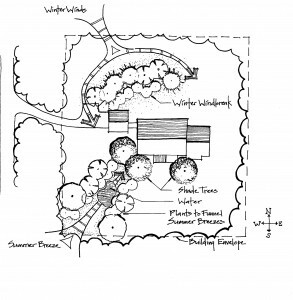 Using innovative landscape design techniques, homeowners can reduce their energy consumption and subsequent greenhouse gas emissions. Greenway & Park Planning provides opportunities for recreation and alternative modes of transportation, while positively influencing economic and community development. Equinox specializes in greenways, pedestrian planning, park master planning, and alternative transportation master planning. Greenways and parks provide avenues for conserving open space, wildlife habitat and migration corridors, and native vegetation while encouraging citizen interaction with the natural environment. This interaction helps to create more of an overall awareness of ecological events, like impacts from climate change. Results of integrated networks of greenways linking parks, neighborhoods, and other special places are a higher quality of life, a healthier environment, a healthier community, and less dependence on vehicular travel, reducing carbon emissions and fossil fuel consumption. 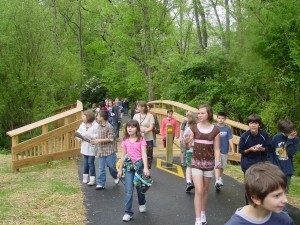 Schoolchildren take a sweet field trip to the Flat Creek Trail, a greenway in Black Mountain. This amazing resource has allowed more children to walk to school, and has also provided a safe and beautiful natural area for anyone to get some exercise! Equinox has been a leader in the region in planning for and designing stormwater best management practices (BMPs) to help reduce the impacts of increased rainfall events. The innovative stormwater solutions we offer as part of our Stormwater Planning & Design service not only meet all applicable government regulatory requirements but integrate innovative solutions that prepare for projected changes in our climate, such as more intense rain events, increased flooding, and droughts. This constructed stormwater wetland functions as a filter, cleaning pollutants from collected runoff. Wetlands are extremely important in maintaining water quality and managing the excess stormwater that is being produced due to climate change and increased rainfall events. Proper Land Planning for residential and commercial development projects can help minimize adverse environmental impacts or ensure that they are avoided altogether. Proper planning can save and protect significant tracts of woodlands, wetlands or other green spaces that act as carbon reservoirs. Planning livable, more “walkable” communities can save resources while helping to decrease dependence on the automobile. Also, proper planning reduces the overall negative impacts on the natural environment, including less material use, reduced impervious cover, and an overall increase in energy savings. Creating a plan for the sustainable use of resources within a community is a vital resource. Equinox creates and implements low-impact development plans which help to preserve contiguous tracts of forests. In turn, these forests absorb and retain atmospheric carbon, helping to reduce local heat-trapping effects. 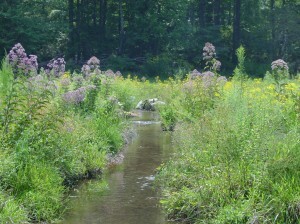 Ecological Restoration services help to re-establish native vegetation and reclaim ecological functioning of a place over time. 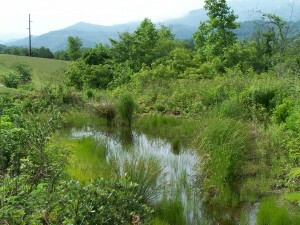 Replanting natural areas, like streams and wetlands, with native vegetation helps to restore the integrity of developed or damaged ecosystems, allowing more carbon uptake in vegetative mass and carbon storage in healthy soils. Looking downstream at this once-incised creek gives a good picture of how ecological restoration can be simultaneously functional, beautiful, and restorative. Through our range of expertise, Equinox has the ability to really make a difference when it comes to responding to climate change. Our service groups work together to develop and implement innovative solutions that create and preserve natural areas and maintain their functioning – ultimately, we try our hardest to sustain our ecosystems because they do so much to sustain our lives. It’s never easy and it takes time, but we’re dedicated to the well-being of this earth and always will be. As we continue to respond to an ever-changing climate, we look forward to innovation, better choices, and shared responsibility, all of which will help uphold and improve all life on this planet.